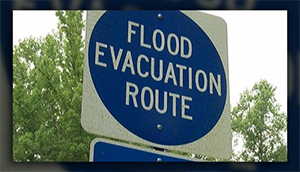 Natural disasters happen due to natural phenomena (e.g. earthquakes, floods) which have harmful repercussions to human activities. The lack of planning or the lack of a suitable system for the management of crisis, worsens the human weakness in case of natural disasters and leads to financial, structural and human losses. 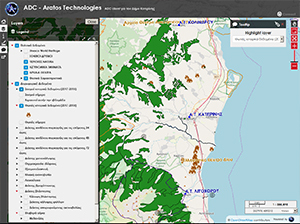 Aratos Technologies S.A. has developed a complete disaster management system, Aratos Disaster Control that can be used as an ideal tool for planning, disaster monitoring, and evaluation after crisis. 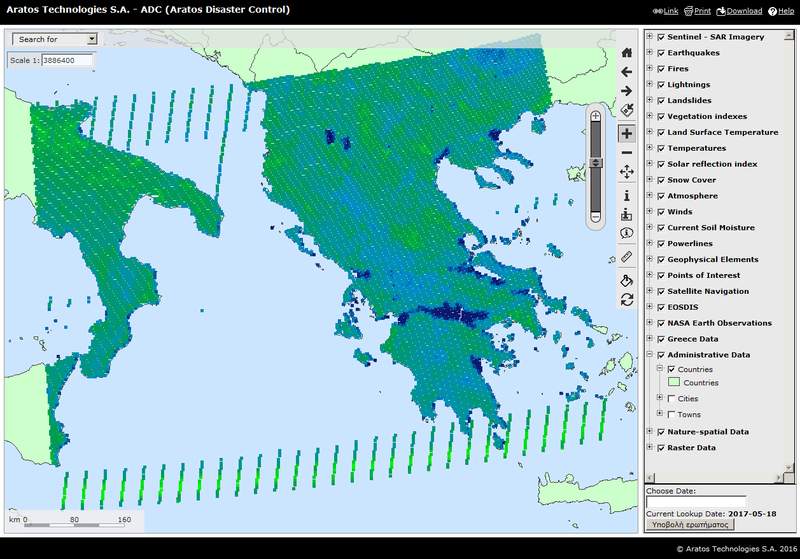 Moreover Aratos Disaster Control can provide near-real time images and data from satellite sources concerning ongoing and past natural disasters (fires, earthquakes, landslides, etc. ), various natural phenomena and weather conditions (wind, temperature, etc) changes in an interactive map environment, 24/7. Solves the problem of planning, preventing, recovering actions for natural disasters(fires, earthquakes, landslides, etc). 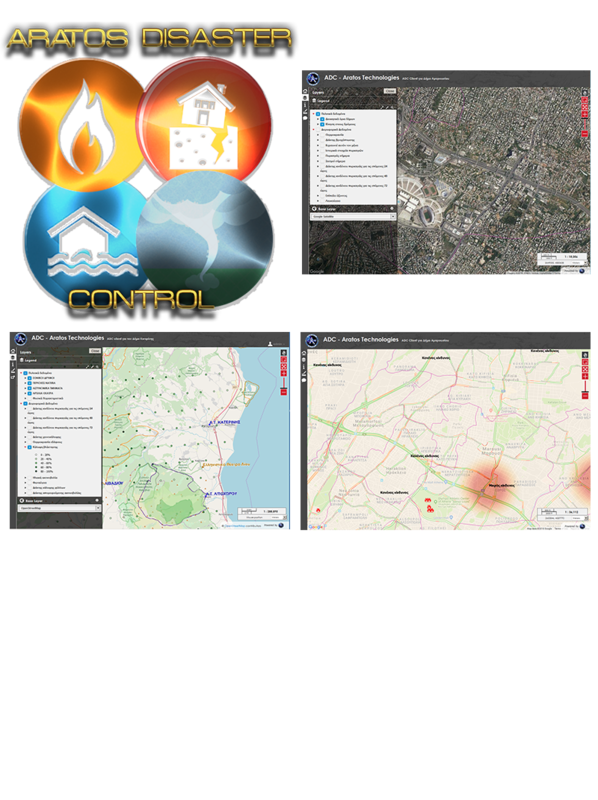 Integrated online system used in Crisis Management Situations that can be used as an ideal tool for planning, disaster monitoring, evaluation after crisis etc. The registered user can detect in near-real time ongoing and past natural disasters, observe various natural phenomena and weather conditions changes in an interactive map environment, 24*7. ADC has a brand new interface and engine! 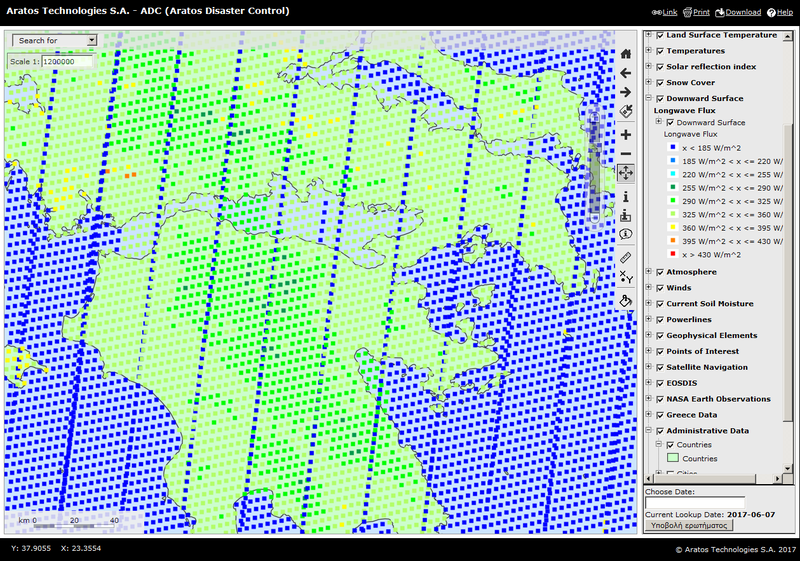 ADC has been updated to perform faster and more reliably using the QGIS engine and Web Map Services (WMS). It also includes the OpenStreetMaps base layer. Aratos Systems as a member of Aratos Group is going to participate to the 9th National Delta Conference on the 1st of November 2018 taking place in the Hagie, HSD Campus in order to present "TRIBUTE". ADC now includes a new service! A Greenhouse Effect related index (Downward Surface Longwave Flux) of the Earth's surface as received from Eumetsat satellites. DSLF is directly related to the greenhouse effect and its monitoring has an important role in climate change studies. 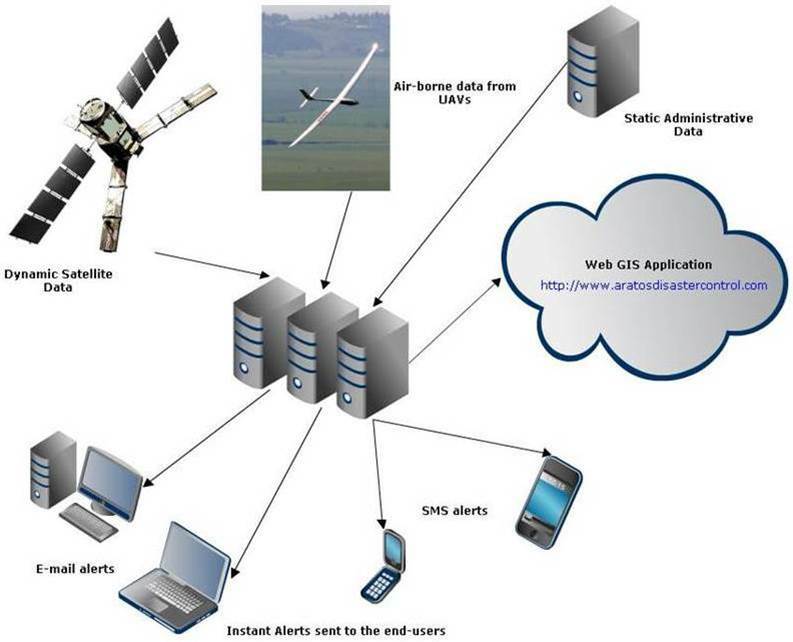 Other applications include meteorology (land applications) and Hydrology. You can download our Android App from Google Play Store. Contact us if you are interested in our product or you need more information.